Claims Against Government Agencies | Ciccarelli Law Offices | Ciccarelli Law Offices, a Pennsylvania Law Firm based in suburban Philadelphia (West Chester PA) and serving all of Pennsylvania for Civil and Criminal Litigation matters. In our democratic system, sovereign immunity applies to personal injury claims filed against the Federal or state governments. Governmental immunity applies to local government and its officials. The state of Pennsylvania operates under two separate laws governing the two types of immunity—the Sovereign Immunity Act and the Political Subdivision Tort Claims Act. Dangerous conditions of sidewalks, resulting in injury, and the care, custody or control of animals which results in injury. The Tort Claims Act has a cap of $500,000, whether for a single plaintiff or the aggregate. The Tort Claims Act allows the following types of damages: lost wages, pain and suffering, medical and dental expenses, property losses, and loss of consortium, however limits recovery for pain and suffering only to death or should permanent dismemberment, permanent disfigurement or permanent loss of body functions occur. The Tort Claims Act also requires that when the plaintiff is insured for the damages, “any insurance recovery must be deducted from awards against local government.” An official who commits a willful act of misconduct is not allowed to hide behind government immunity under the Tort Claims Act. Any acts of members of the Pennsylvania military forces which results in injury to another. Recovery against a Commonwealth party is limited to $250,000 per plaintiff (or $1,000,000 in the aggregate”) under the Sovereign Immunity Act. Plaintiffs who bring a personal injury case against the Commonwealth for a car accident may only claim the following damages: lost wages, pain and suffering, medical and dental expenses, property losses and loss of consortium. Special rules apply when filing a personal injury lawsuit against a Pennsylvania governmental entity. Within six months of the accident and resulting injury, the plaintiff—or the plaintiff’s attorney, on behalf of the plaintiff—must provide written notice of the injury to the Commonwealth or governmental entity. This notice must include the name and address of the plaintiff as well as facts surrounding the case, such as the date and hour of the accident as well as names and addresses of treating physicians. As you can imagine, the exception of vehicle liability to immunity is employed fairly often, when employees of a governmental entity are involved in an auto accident. Police vehicles, emergency vehicles, fire department vehicles, a public school bus, and city vehicles all fall under this exception. Unfortunately, the threshold for showing the governmental employee was at fault is substantially higher when you are suing the government. Generally speaking, gross negligence must be shown in any car accident claim against a government entity. There are also additional special rules for emergency vehicles. If you are injured by an emergency vehicle during a real emergency, and the vehicle had its sirens and lights on, then your case is likely to be much more complex. Prior to filing a lawsuit against a government entity, you may first file a claim. When filing your claim, you must describe the facts which support your claim with sufficient specificity as to allow the governmental entity to conduct a thorough investigation. You may be asked to place a specific dollar amount on the damages which resulted from the accident. You may need to include the total amount of your medical expenses as well as the cost for repairing your car. Your claim will be ruled on, usually within a period of six months. If the government admits your claim is correct, you will then receive compensation for your injuries. If your claim is denied, you may want to speak to a Chester County attorney in order to file a personal injury lawsuit. If you believe your automobile accident involves governmental liability, it is definitely time to discuss your case with a knowledgeable Pennsylvania car accident attorney. The rules related to filing a lawsuit against a governmental entity are very complicated, requiring a unique, strict set of procedural rules. Further, because your time to file a personal injury suit against a governmental entity is so short, it is particularly important that you allow a Chester County car accident attorney to navigate the complexities associated with your case. The Chester county car accident attorneys of Ciccarelli Law Offices have successfully represented individuals throughout the state of Pennsylvania that have been injured in accidents. 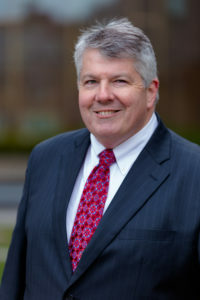 Our Chester County based law firm is based at 304 North High Street, West Chester PA 19380 and serves clients in Kennett Square, Downingtown, West Chester, Coatesville, Exton, Chester Springs, Chadds Ford, Landenberg, Honey Brook, Oxford, Malvern, Parkesburg, Phoenixville and Paoli. Contact us now at (610) 692-8700 or call toll free (877) 529-2422. Don’t wait—contact an attorney immediately.